Trick online store. Homeware accessories and small furniture products. Stackable tealight holders in solid poplar wood, available in different natural wood shades and colours. 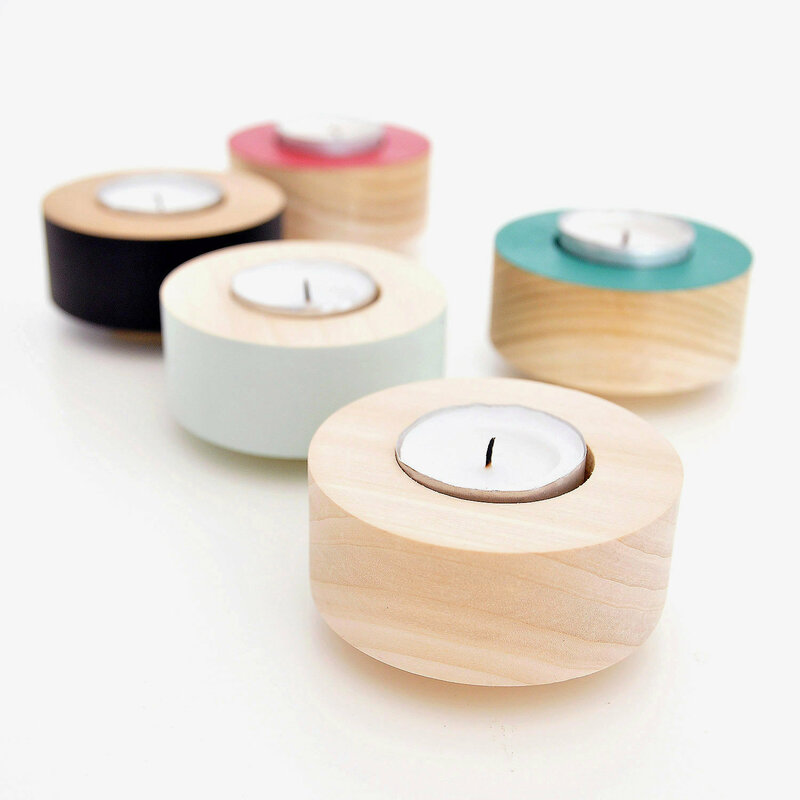 These simple tealight holders combine form and function allowing you to play with light. Eco friendly product. Tealight candles included. Trick is a multidisciplinary design studio based in London, founded in 2012 by Portuguese product designers, Tiago Russo and Katia Martins. All our products are designed to last, that's why we go through a long and detailed design process and use the best quality materials and skilled craftsmanship. Design matters and we want to develop simple, high quality and meaningful designs that work, that respect the environment, that have a purpose as opposed to disposable frivolous items. Standard United Kingdom delivery £4.50. Free UK delivery for purchases above £50. Standard European delivery £7, or £3.50 delivery for purchases above £50.